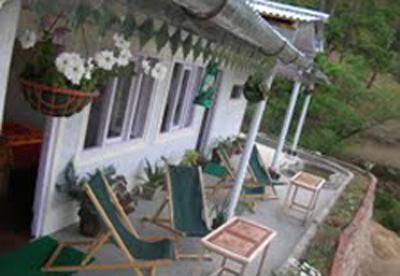 Ayush Guest House is a charming collection of self-catering cottages along with 4 new rooms located in the beautiful valley of Balta Badi, over the ridge from Paparsali. 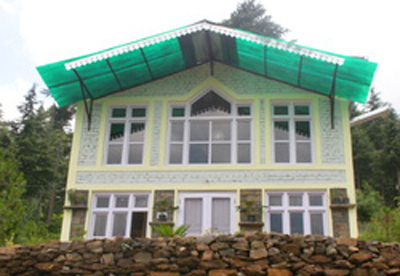 The guest house is located four kilometres from Almora on the Binsar Road. A short walk up the path that leads to Eco-Park brings into view this spectacular valley. As one walks over the ridge, the breathtaking sight of the Majestic Himalayas also comes into view. Various mountain peaks of India, Tibet and Nepal can all be seen from this vantage point and also from all of the accommodation at Ayush Guest House. We are a 5 minute walk down the valley, along a concrete path. Porters will be available to carry luggage if required. A short stroll leads you to the guest house which is surrounded by beautiful flora and fauna. This is a wonderful spot for Birdwatchers, Meditators, Artists and anyone who has a love of nature. Also perfect for a romantic weekend getaway or for an escape from hectic city life. 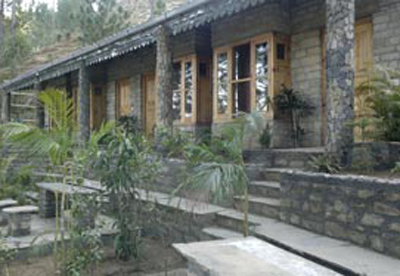 Ayush Guesthouse has recently opened a restaurant on site. This has a downstairs seating area and a charming area upstairs which consists of a well stocked library, a TV and DVD player with a large selection of movies, a computer for guest use and a small shop. There is also a large outdoor seating area in our landscaped garden.